(Washington, D.C.) With 25 executions and 42 death sentences expected this year, the use of the death penalty remained near historic lows in 2018, according to a report released today by the Death Penalty Information Center (DPIC). 2018 marked the fourth consecutive year with fewer than 30 executions and 50 death sentences, reflecting a long-term decline of capital punishment across the United States. Court decisions and election results signaled continuing low death-penalty use as Washington State declared its capital punishment statute unconstitutional and voters ousted prosecutors in seven counties known for aggressive death-penalty usage. “America continued its long-term movement away from the death penalty in 2018,” said Robert Dunham, DPIC’s Executive Director. “Even in the face of inflammatory political rhetoric urging its expanded use, voters showed that the death penalty is no longer a political wedge issue. 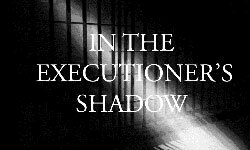 The reelection of governors who imposed death penalty moratoria, the replacement of hardline pro-death-penalty prosecutors with reformers, and Washington’s court decision striking down its death penalty suggest that we will see even greater erosion of the death penalty in the years ahead.” DPIC provides information, analysis, and data on the death penalty but does not take a position for or against capital punishment. Read complete 2018 year-end report.